If you are an investment homeowner in the Denham Springs area, then you have put a lot of time and effort into your rental property to make it a safe and enjoyable place for your residents to live. However, the safety of both your residents and your property could be threatened if proper fire prevention habits are not formed and executed. Reducing fire hazards with your Denham Springs rental property is easy to handle year-round for homeowners and residents alike. 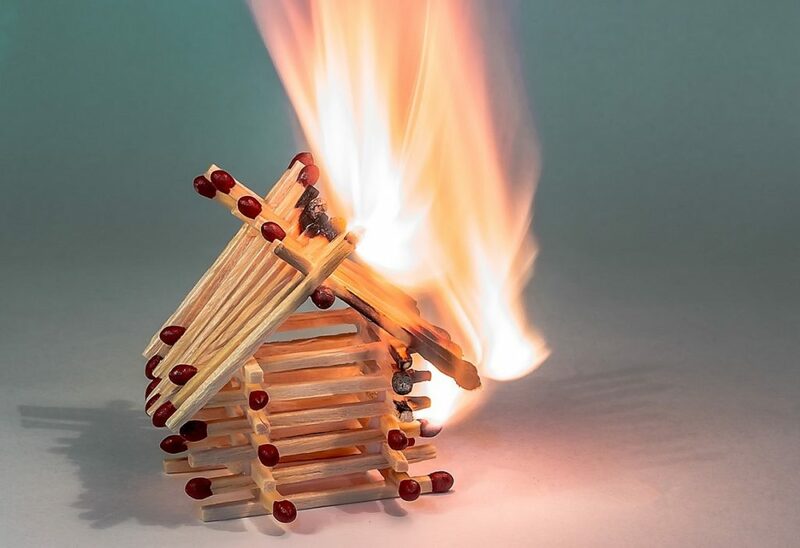 By taking the initiative and showing your residents that you care about their safety, you are establishing your credibility as an investment homeowner and ensuring the safety from fire-related incidences. Do not let fire hazard present themselves and start preparing your rental home today. Check out these tips from Real Property Management Baton Rouge to reduce fire hazard with your Denham Springs rental property. As an investment homeowner, as soon as you’ve prepared your rental house for occupants to begin moving in, and complied with land fire security procedures like such as a fire extinguisher within your home, it can be simple to forget it’s there. Your residents may forget about the positioning of the fire extinguisher if not reminded. Among the most effective ways to safeguard your fire extinguisher would be prepared if desired would be to carry out a visual check yearly. While it appears easy, it might be lifesaving. When performing a visual check, a landlord or homeowner should be certain it’s situated in its designated place, that it isn’t damaged, nothing blocks or obstructs it and it’s completely operational. Moreover, you must check that the pressure gauge is within working range and the pull trap is sealed along with in-tact. The fire extinguisher may also have a label on it, so make sure you indicate the date of this visual inspection once you do it. Residents and homeowners alike assume that the fire department should only be utilized if there’s an emergency. This thorough fire review always has to be performed by a professional and with your residents be present to answer questions and find out useful fire prevention tips is important to guarantee appropriate fire-safe practices. A fire marshal would rather give homeowners and residents tools to prevent fires than put out one. The fire marshal will appraise things like evacuation strategies, the frequency of chimney and furnace cleaning, secure storage of flammable material if a smoke alarm necessitates replacement, etc. Make the most of the free service. Once you have prepared your Denham Springs rental property as best you can to avoid a fire, then you also must instruct your residents how to make fire-safe decisions in their day-to-day life. This would include giving them instructions to eliminate items that are covering or surrounding appliances like water heaters and furnaces. It is best to indicate a place around these appliances with just take or some other sort of permanent marking that helps citizens always remember to keep some other flammable things behind this line. Other items like ensuring all protective covers are in place, and removing lint and dust from ducts will serve to stop fires occurring in your rental home. Start making your Denham Springs rental property a safer place to live today with these tips to reduce fire hazards. If you would like more information about Real Property Management Baton Rouge and our services, then contact us online or call us at 225-389-6860 today.